This cartoon is was one of the best things on nickelodeon. Doug is a show about a boy who moves to a new town and how he meets friends, enemies and wacky neighbors. It's great to see how Doug day dreams on how he's going to get himself out of a jam. Most of the time his imagination gets away from him which get him in trouble in the first place but it's only innocent fun. ''Doug'' is a funny show and hopefully the movie will finally give Doug a chance to tell Patty Mayonnaise how he truly feels. Doug: We can't let people see us like this. Patti: You're right. Let's just spend the rest of our lives handcuffed to each other. The character of Larry is red in some episodes and green in others. 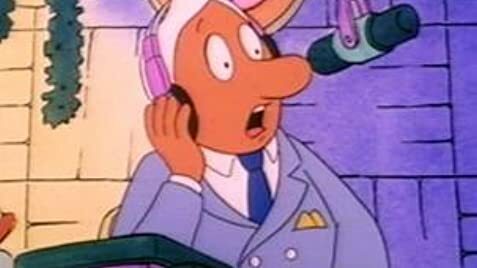 During the end credits, Doug waves to viewers and gets tired, while Porkchop listens to a walkman.